After Effects can be a very resource intensive program, but our AE workstations are designed to give you the power you need to allow you to quickly and efficiently complete your work. 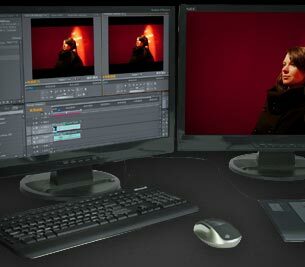 Whether you are working with H.264, MP4, ProRes, CineForm, RED, or any other codec, our workstations have been optimized to give you the very best performance when editing and exporting video in Premiere Pro. DaVinci Resolve has a unique set of hardware requirements that you will not find on most standard computers. Our workstations have been designed and optimized specifically for Resolve to give you the best possible performance. 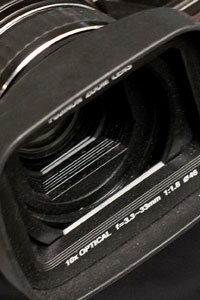 Post-production of video and film is some of the most demanding work a computer can be called on to perform. Whether it is adding special effects and CGI, editing timelines and cropping footage, or rendering finished video to different formats, these creative endeavors really put computer hardware to the test. It is essential that your editing workstation be able to handle that load. Your time is money, and any time your workstation is down for repairs is costly. We understand that, and value the quality and reliability of our PCs above all else! No matter what software you are using, a fast processor is critical to your video editing computer. Memory is also important, though exactly how much you need depends heavily on your software and the size of projects you work on. Many editing suites are also shifting toward using the previously untapped potential in high-end graphics cards to accelerate the editing and rendering processes. These are a lot of factors to balance, and we can help you tune the configuration of your workstation to your unique needs. The final factor, which too many people overlook, is the drive setup. When working on video you want to have a separate editing drive - keeping the access of those files isolated from the constant input that the operating system and applications have where they are installed. Solid-state drives and the speed they offer are tempting, but have to be weighed against their cost. Traditional hard drives are much less expensive for the amount of storage space they provide, and for large file transfers can still be quite speedy. Arrays of drives can also be employed if necessary for more size and speed. For rendering in particular it may be beneficial to use three drives: one of the OS/applications, one for source video, and one for the finished product.